Pacific Rim 2: You’ll be watching the American science fiction monster film again. It is going to release soon. 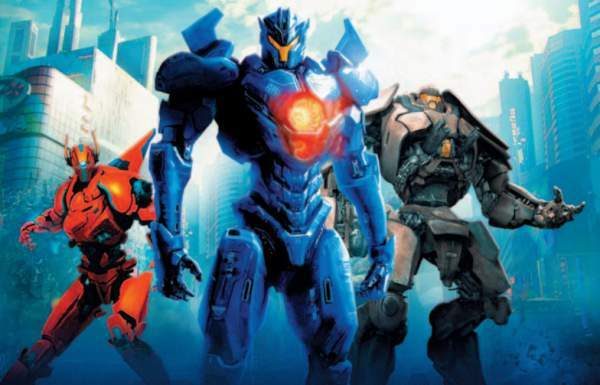 Pacific Rim: Uprising is the title for the sequel. There isn’t any blockage that will be restricting the upcoming movie in the franchise. The first film was PacificRim: Maelstrom. The battle between giant robots and giant monsters is not stopping yet. Steven S. DeKnight is all set to direct the PacificRim sequel. The writers of the story include DeKnight, Kira Snyder, Emily Carmichael, and T.S. Nowlin. In 2013, the PacificRim film released and the audience liked it. Now, the sequel to the film is in the lights. Distributed by Universal Pictures, the sequel is all set to ride the journey of its launch. The screenplay is inked by Derrick Connolly (Jurassic World). Universal Pictures is holding a plan to release it in 3D, IMAX, and IMAX 3D. It has been scheduled for March 23, 2018. The audience will experience more fun with 3D effect. The Pacific Rim Uprising trailer premiered on October 6, 2017. The launch was made at New York Comic Con festival. Now, the question is: What’s in the trailer? The battle between Jaeger and kaiju! Take a look yourself. The battle between the monsters from the other world and human-piloted super-war-machines built with super technology is been reflected throughout the whole story of Pacific Rim: Uprising. Some otherworldly monsters arrived with the aim of universal demolition. On the other hand, human-piloted machines are built up in order to defeat the monsters. Jake left his training too just for the sake of getting caught in the criminal underworld. There comes a time when the things become more dangerous to look at and a threat to mankind arise. Here, Jake is given the last chance to carry on his father’s legacy further. And the chance is given by his antagonized sister- Mako Mori. She’s the leader of a courageous new generation of pilots. These pilots are grown up in the shadow of war and so they are much aware of what happens. They altogether wish to destroy the monsters and come up conquering them. The hunger of justice is filled in these pilots which make them fearless to fight. John Boyega will be playing the part of Jake Pentecost, the son of Stacker Pentecost. His role is given much focus in the entire film. The audience must be excited to see the decisions of Jake in Pacific Rim: Uprising. According to Deadline, Guillermo del Toro shared his thoughts of welcoming John in the film. The sequel will feature him as the leading man in the multi-cultural and multilayered world. The idea/goal was: ‘The World saving the world,’ which couldn’t be played better by anyone else except John. Who’s the female lead? In this regard, Cailee Spaeny is given the role in Pacific Rim: Uprising. There is some silence on revealing details about her character right now. Soon, we’ll get to hear more about her role. Related: Horror Movies on Netflix. We’ll update the article as soon as we get the latest news and information. Any views for the upcoming sequel? Share in the comment box below. Stay tuned to TheReporterTimes for more Pacific Rim 2 updates.